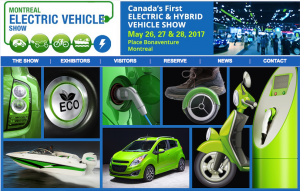 Recently Canada’s first Electric Vehicle Show was held at Place Bonaventure in Montreal, it was attended by the automakers like Toyota, Chevrolet, and Porsche etc. The automakers displayed their latest electric, hybrid, and hydrogen-powered vehicles at the show. All three levels of government of the country were a lso present, Federal Transport Minister Marc Garneau announced on the occasion that the Canadian government plans to work on a “Zero-Emissions Vehicle Strategy,” to be presented in 2018. In Canada, transportation accounts for 24 per cent of the emissions, mostly from cars and trucks. At present, only one in 200 cars in the country is zero-emission thus the Canadian government through this strategy aims to significantly reduce Canada’s emission footprint. It was informed that the government will build on existing initiatives and regulations to encourage the electric market without tough legislation on automakers. Instead of forcing the automakers to keep a certain amount of electric vehicles in stock, the government will try to make the conditions more favourable for people to buy zero-emission vehicles. Montreal Mayor Denis Coderre pointed to a goal to have 400 charging stations in Montreal by the end of the year as some automakers still see the lack of charging stations as an obstacle. World over, the governments are getting serious towards the electric vehicles and are working earnestly, framing policies to increase the adoption of the electric vehicles. This is a visible trend in countries right from China, India to Canada. The automakers too are strategising to cash upon the opportunity.